Coloured Imagination: Updates and excitment! Firstly, my cupcaket box has been a great hit, im really pleased... and my other half has given me a great idea to make another, but to take on a much darker theme this time... I dont want to give too much away as I am super excited but lets just say, where as my last one was a lovely happy 'eat me' inviting box... this new one will involve all the opposite... and as a real teaser.. i have just brought something specific for the project... Acetate! HmmmmM!!! :) My head is spinning with ideas! Its my birthday this Sunday, and im being whisked away camping for this bank holiday weekend, so i wont be creating this weekend unfortunatly, but im trying to squeeze time where I can, especially as ive just brought a load of fun new embelishments (including some new colour stickles!! lol) ive got my hands on things i dont usually use with my projects, ribbon; lace, and twine! so im very curious to see what becomes of my new bag of stash... however its a birthday gift so i cant touch them until Sunday! eeek! Inky impressions are looking like fab little challenge blogs, ive just applied to be on their DT, im not holding out huge hope because im still very new to this world, but hey, you never know until you try, right? All in all i need more time in my day but cant wait for the birthday fairy to bring my stash so I can have a play! EDIT to add my excitement of my other birthday gift arriving today! 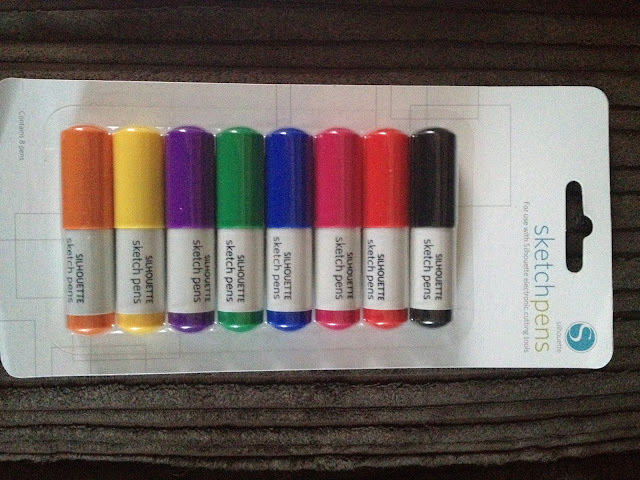 My portrait sketch pens! Oh how I can't wait to play with these! Can't wait to see it, sounds exciting! Fingers crossed for you making a DT, my grandma always says nothing beats a failure but a try so good for you, new or not! Happy early birthday!!!! Have a great weekend. Can't wait to see the new box!! Happy birthday in advance!Hope you enjoy your camping weekend.Don't let the bugs bite.lol.Best of luck for your DT application too.Hope you make it.finger,toes,eyes crossed for you and also thank you for the links.I need to participate in more challenges too.